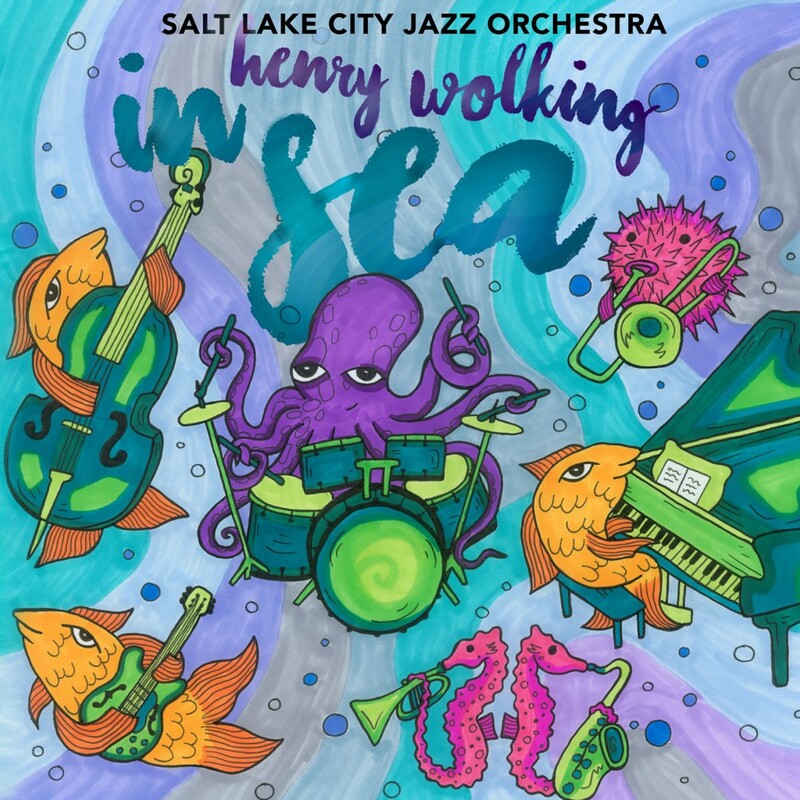 One of Utah’s most prolific, diverse composers with the wisest sense of musical egalitarianism returns on his latest recording release featuring 12 masterly executed tracks of cosmopolitan music performed by the Salt Lake City Jazz Orchestra (SLCJO). Henry Wolking also conducts the dozen works on In Sea, his debut album on Big Round Records, which is part of Parma Recordings, where he previously had the Cross Connections album featuring two works for string ensemble released on the Navona Records label. With In Sea, listeners get a generous, fresh, approachable and colorful earful of Wolking’s compositional style. He enjoys bringing complex, sometimes seemingly disparate mixes of compositional elements to music that becomes easily accessible for listeners who appreciate its sincere, bright cosmopolitan character. The works cover a span of more than 30 years of composition and arrangements. Mixed in with his gifts of polyrhythms, melodic chorales and unmistakable grooving inflections of jazz are the elements of classical music, rock, Latin and Caribbean and the timeless forms such as swing. In original compositions include the album’s title track In Sea and Sumo Mix — where he pays tribute to brilliant jazz musicians and composers including Bob Brookmeyer and Thad Jones — Wolking demonstrates how the artistic energies of complex compositional structures have emboldened and empowered jazz performers to take on important gratifying risks in their music. Listeners will enjoy the trombone and tenor sax solos (performed by Brian Keegan and Brian Booth, respectively) in the amusingly titled Cantaloupes, Aisle 1. In Rush Hour Shuffle, the closing track and the oldest work featured (dating to the early 1980s), Wolking scores the perfect sendoff with solos by Brian Booth, tenor sax; Reed LeCheminant, trumpet; Kevin Stout, trombone; Keven Johansen, guitar; Kurt Reeder, organ, and Jay Lawrence, vibes. Many of the musicians featured are former students of Wolking. There also is a soulful, almost brooding bit of holiday spirit in God Rest Ye, Merry Gentlemen, captured in Brian Stout’s trombone solo. In four compositions — Jimbo’s Lullaby, Reverie, A Piece of Cake and Claire De Lune, the shimmering and sensitive moods of Debussy and French impressionism are infused with just the right volume into jazz’s most enduring elemental roots of deep harmonic and syncopated structures. Wolking quotes the music so judiciously as to make his own statement and amplify it accordingly, such as in the top-notch rendition titled A Piece of Cake paying tribute to Golliwogg’s Cakewalk, the last of six pieces in the charming Children’s Corner Suite that Debussy composed and dedicated to his young daughter. Like other jazz composers who studied Debussy’s harmonic language, I learned that jazzers didn’t invent non functional minor nine, sus, or altered dominant chords. Debussy was such a radical composer for his time because he left the restrictions of conventional harmony and chord progressions, and composed music that was both personal and universal yet new and individualistic. I sort of see Gil Evans as a reincarnation of Debussy, that is, he too had an exquisite disregard of conventional chord voicings and melodic structures. With both composers, the music never seems random but fully informed and highly individualistic. The SLCJO also is heard on Wolking’s arrangements of works by other jazz musicians including David Halliday (Home in which Halliday also plays tenor sax) and Lew Pollack (That’s A’Plenty). In Sea becomes a master class of jazz and large ensemble arrangement. He meshes together beautifully the elements of big band, jazz improvisation and classical compositional techniques that expand the palette of melodic, harmonic and rhythmic tools and elements. The best reward is how seemingly effortless the music always sound even amidst its complex, intricate compositional structure. One of Utah’s most prominent and important musical figures, Wolking retired several years ago from The University of Utah’s School of Music after nearly 40 years and has written for every imaginable type of large and small ensemble in classical and jazz music. Wolking also is known for organizing jazz events and musical commissions for the Utah Arts Festival. 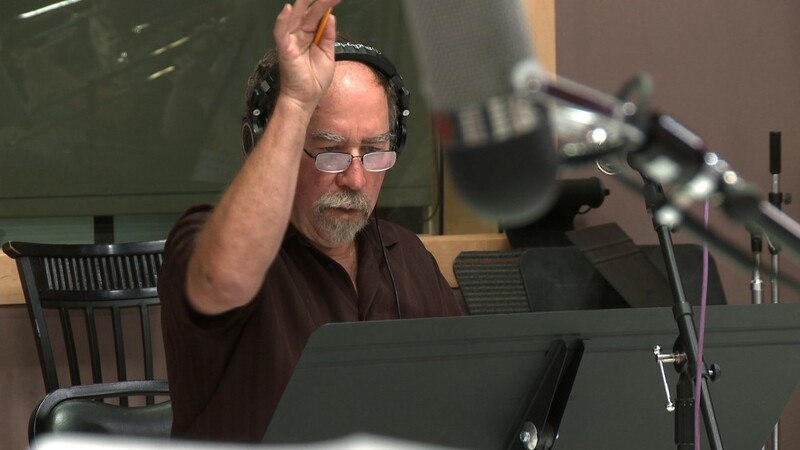 He also composed the theme music for the International Sports Broadcasting in connection with the 2002 Winter Olympics held in Salt Lake City, Utah. The Utah Symphony has premiered several of his works, including a trombone concerto and Lydian Horizon, his first symphony that also was a semi-finalist for a Kennedy Center Friedheim Award in the 1980s. His music has been performed and recorded internationally by many groups including the Warsaw Philharmonic, London Symphony Orchestra, New Zealand Symphony and the BBC Jazz Orchestra. His prodigious orchestral output includes symphonies, fantasies and an overture as well as eight concertos featuring various soloists such as jazz quartet, trombone, flute, heckelphone, bassoon, contrabassoon, two pianos and horn. Major music outlets have published more than 50 of his jazz and brass chamber ensemble works. His catalogue of orchestral, band and jazz ensemble works also is offered through his own company, Wolking Music Publication. Next articleOdysseo, it really is an amazing show!